Radio Sputnik's Loud and Clear spoke with Daniel Lazare, a journalist and author of three books, "The Frozen Republic," "The Velvet Coup" and "America's Undeclared War," about what we can expect from Special Counsel Robert Mueller's investigation in 2019, its third year of operation. "A House committee can keep the ball rolling indefinitely," Lazare noted. "Nothing solid has turned up about collusion in the Russiagate story. Yet, the story keeps going and going, a new tidbit is put out every week, and so the scandal keeps somehow perpetuating itself. And even though there's less and less of substance coming out, so I expect that'll be the pattern for the next few months, and I expect that the Democrats will revv this whole process up to make it sort of seem as if there really is an avalanche of information crashing down on Trump when there really isn't." ​In November 2018, two years after US President Donald Trump's 2016 election to the presidency, Sputnik reviewed the Russiagate investigation, noting it had produced little to nothing of substance in support of the thesis justifying its existence: that Russia either colluded with the Trump campaign or conspired to interfere in the US election to tilt it in Trump's favor. Indeed, report after report on the data that has been provided to Congress by tech giants like Facebook, Twitter and Google show an underwhelming performance by any would-be Russian actors. In contrast to the apocalyptic claims by Democrats and the mainstream media about the massive disinformation offensive waged by Russian actors, the websites, social media accounts, post reach and ad money associated with "Russians" is always dwarfed by the equivalent actions of the Trump campaign and the campaign of its rival in the 2016 election, Hillary Clinton, along with their throngs of supporters across the US corporate world, both of whom sunk hundreds of millions into winning the social media game. 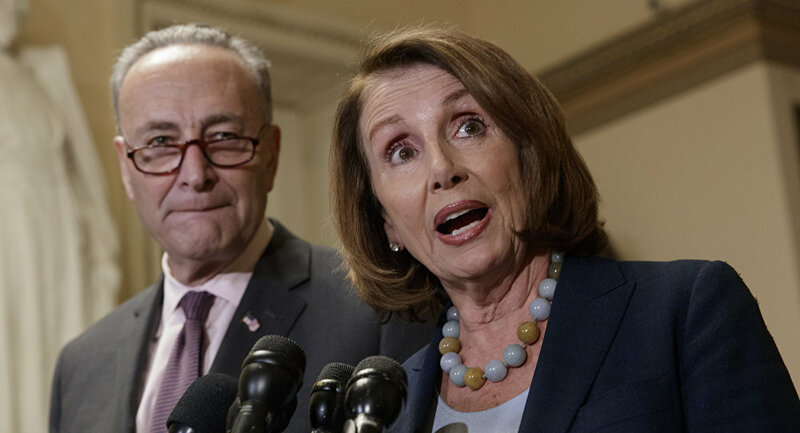 Among the chief motivations for Democrats going into 2019 is that "Democrats are now the party of war," Lazare said, noting that Democratic House Leader Nancy Pelosi called Trump's prospective withdrawal from Syria a "Christmas gift to ISIS [Daesh]." "This is the raison d'etre for Russiagate: they're trying to maneuver Trump into hostilities with Russia, China, North Korea, etc. I mean, this is foreign policy by subterfuge… it's about keeping 2,000 troops in Syria as well, and getting Americans' heads blown off in Afghanistan, all of which the Democrats want to do. The whole thing is backroom government of the worst kind."